Product prices and availability are accurate as of 2019-04-17 19:12:21 MDT and are subject to change. Any price and availability information displayed on http://www.amazon.com/ at the time of purchase will apply to the purchase of this product. An ultra rare Morgan from the 1901 Philadelphia key date mintage, this exquisite 1901-P Morgan has graded a truly impressive Gem MS65 by NGC; impressive because NGC has graded only 3 others at MS65 and none higher. 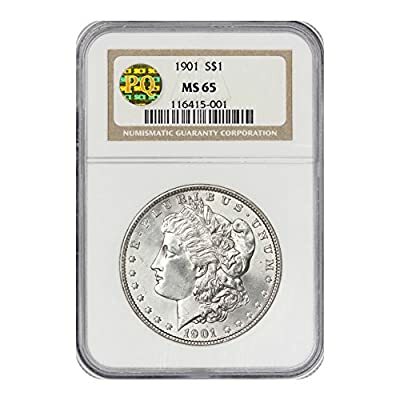 Even PCGS has graded only 2 at MS65 and only 1 higher, at MS66.The original blast white mint luster on this Silver Morgan is brilliantly reflected off impeccably smooth and nearly unblemished surfaces. It is unusual to see luster this brilliant on a 1901 Morgan and this example is about as vibrant in the luster category as one could realistically demand for this issue. The details are quite crisp especially on the high points, evidence of a strike that is extremely sharp, especially for a Silver Dollar from this mintage.This outstanding Silver Rarity has also been awarded the prestigious PQ Approved sticker for its impeccable condition. PQ Approved is awarded to exceptional coins that pass a strict grading standard. PQ Approved coins have historically proven to offer the best appreciation and liquidity compared to similar non-PQ Approved coins. 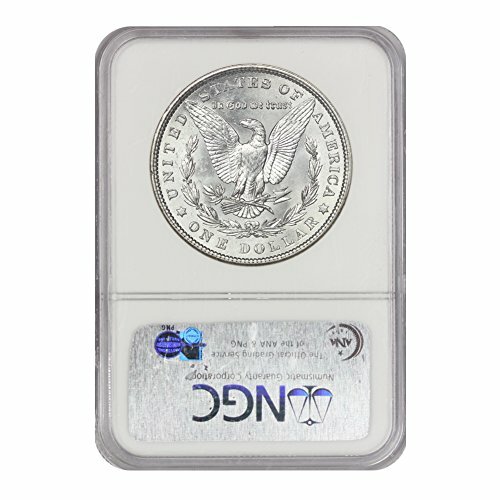 For details on the value of PQ Approved please contact us.An exceptional Silver Dollar in every way, this Ultra Rare Key Date Gem Morgan is truly befitting of the ultimate coin connoisseur and is more than deserving of a rightful place at the pinnacle of a high-end Registry Set.